When you start missing payments to your creditors, you can expect friendly reminders urging you to bring your account current. If those reminders don't work, your creditor's payment demands will become more insistent, but it won't chase you forever. When your creditor can no longer invest time and resources pursuing your delinquent debt, it will charge off the account. You still owe charged-off debts, and failing to make payment arrangements can carry severe consequences. 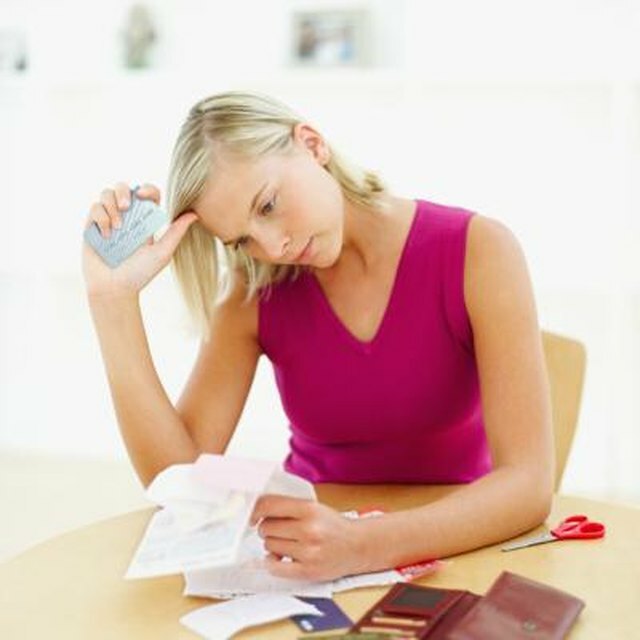 When a creditor charges off a debt, it removes the account from its list of current assets. Charged-off debts are not canceled, and you're still responsible for paying them. After charging off your account, your creditor will either sell your account to a debt collector or hire a collector to recover the debt on its behalf. Debt collectors aren't known for their subtlety, and you can expect a barrage of calls and letters demanding immediate payment. If your original creditor made regular reports to the credit bureaus, your missed payments and eventual charge-off will show up whenever someone pulls your credit report. Not only do these entries look bad to other creditors, but they also wreak havoc on your credit scores. Collection agencies also report debtors to the credit bureaus. A single collection account can shave 100 points or more from your overall credit score. Federal law permits collection accounts and charged-off debts to remain on your credit reports for seven years. If you don't make arrangements to pay the charged-off debt voluntarily, the debt's owner can force you to satisfy your obligations by filing a lawsuit against you. If you do not respond to the lawsuit notification and do not appear at the hearing with a defense, the creditor or collection agency will win its case by default. After winning a debt collection lawsuit, the debt's owner has the right to take aggressive action to collect the debt, such as seizing your bank accounts or property and garnishing your wages. When the original creditor charges off the debt, it has the right to claim that debt as a financial loss on its taxes. If the debt exceeds $600, the creditor will mail you a Form 1099-C noting the amount it claimed. You must then report the creditor's “loss” as income on your taxes. Unfortunately, this does not prevent the creditor from selling your debt to a collection agency. Nor does it prevent the collection agency from pursuing payment for the debt. Bankrate: Debt Charged off -– Do I Still Have to Pay?